We've been experimenting with more realistic lighting for adding to Arckit construction models. We've previously created some fun STEAM projects using the Circuit Playground and BBC micro:bit beginner microprocessors. 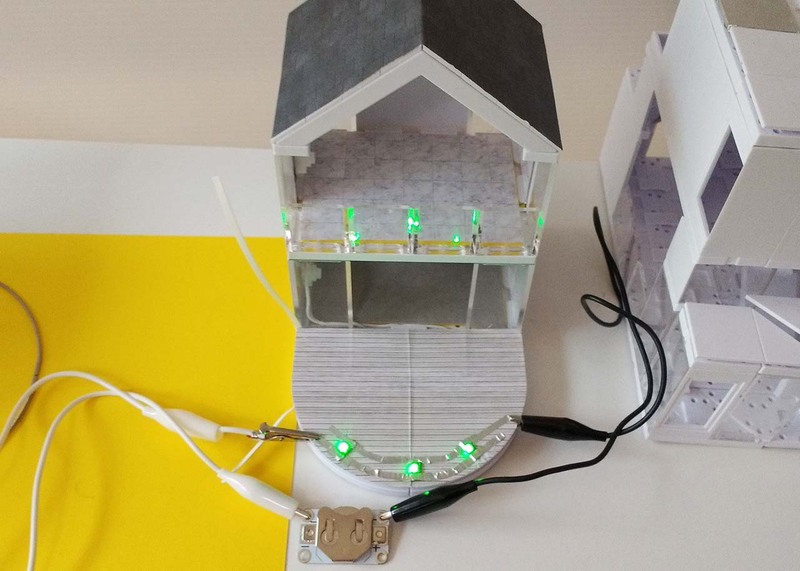 This time we wanted to try some smaller electronics components that blend in with Arckit. Arckit uses a 1:48 scale so we needed some small but easy to work with components. We used green LED sequins in this project to create a feature lighting effect on the deck of our model. The LED sequins are available in lots of different colours so they're great for feature lighting. We also have some LED sequins and sewable LEDs from other brands but they weren't as small as the Adafruit ones. In our first attempt, we used LED sequins with conductive aluminium tape to create deck lighting. We fixed the LEDs in place with additional tape. 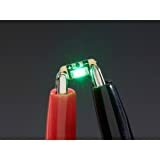 We'll also be looking at other options for wiring up the LED sequins as it's tricky to get a good long-term connection just using conductive tape. It's a good quick option though for trying things out though. We used a 3V coin cell battery to power the LEDs. For this project we just put the battery in a sewable battery holder and clipped on some crocodile clips. We also found that it would be possible to put a slim coin cell battery under the Arckit raised floor. You can also power and control the LED sequins from a microprocessor. This means we can also use them in Circuit Playground and micro:bit projects and control them programmatically. These little LEDs are really bright! We might look at 3D printing some light fittings to go over them and disperse the light and help make a good connection. (We've previously 3D printed internal floors and furniture for Arckit.) We do like the way the light gets reflected in the clear panels though. 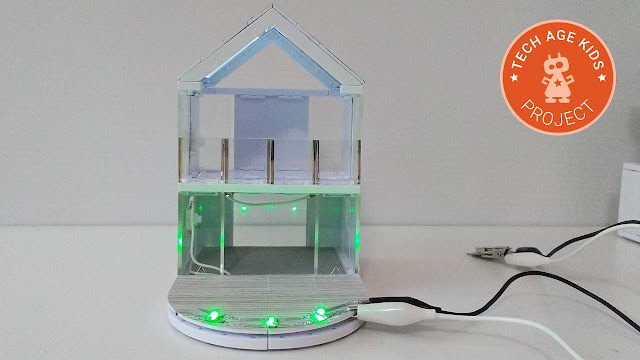 We're finding that Arckit is a great base for beginner electronics and STEAM projects. It adds lots of interest as well as design constraints which is great practice for real-world projects. You might have spotted some other electronics in the photo. We're working on some other Arckit lighting projects which we'll post about soon.